After my daughter turned in her 1970's fashion poster, she inspired me to get dig through my fabric scraps and make a few 70's-style fabric flowers. 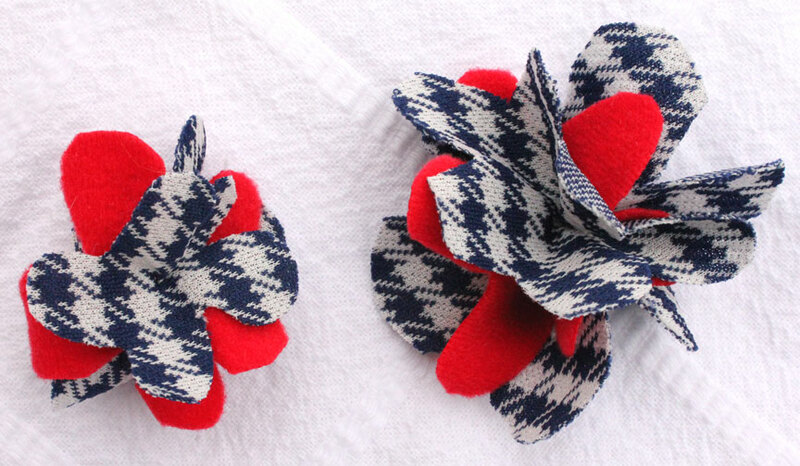 I cut three flowers shapes out and sewed them together for each flower. Simple. They kind of look like polyester butterflies. DIY - ruffled t-shirt in 9 steps! Sweet, Simple Spring Skirt for Girly Girls! The cutest lace skirt EVAR! Stuffed Kitty Tutorial. Super duper cute!! !